gift box per unit . 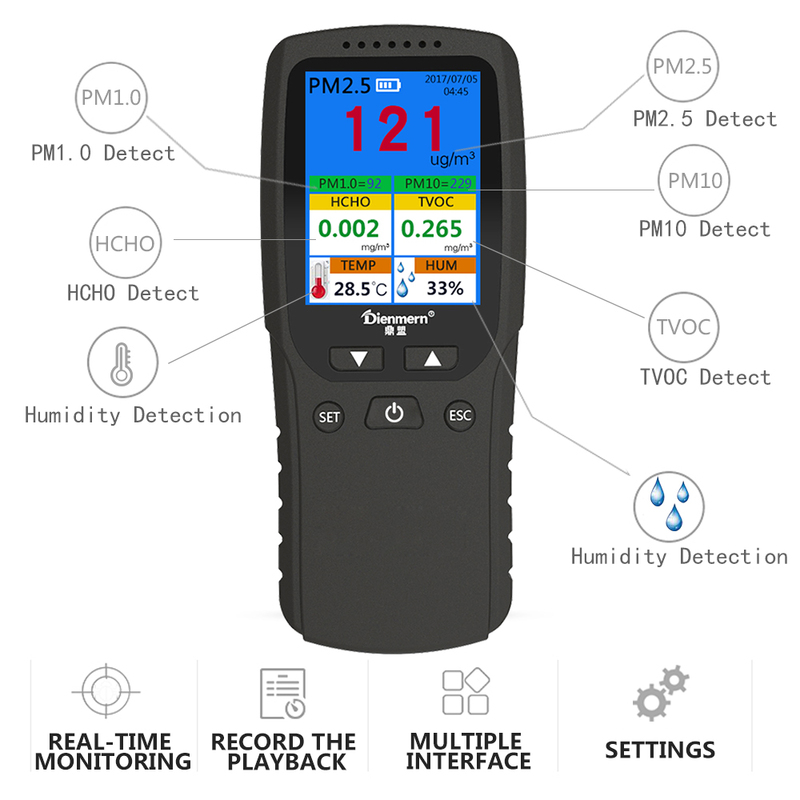 Multifunction Air Quality Monitor is easy to operate,keep the most important and essential parts for a good air quality monitor — high accurate for testing. 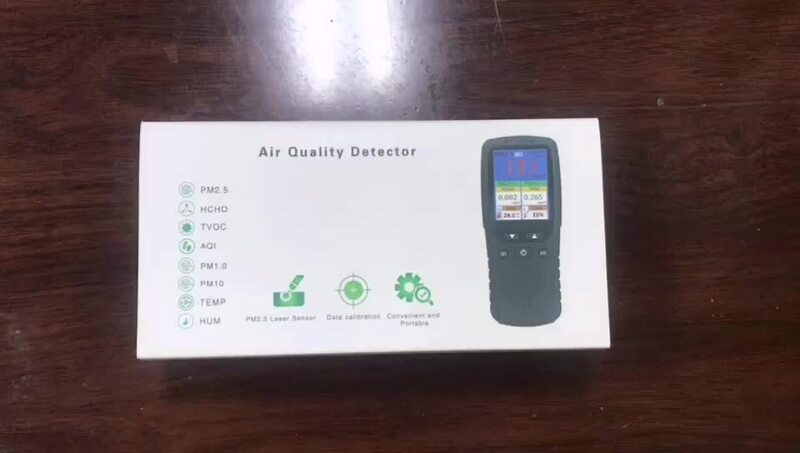 It can be widely used in household, office, car and many other environments.Know What's in the Air You Breathe - Formaldehyde Monitor come with TVOC Test Monitor Detector with stand, real time air quality record and analysis, smart time display. 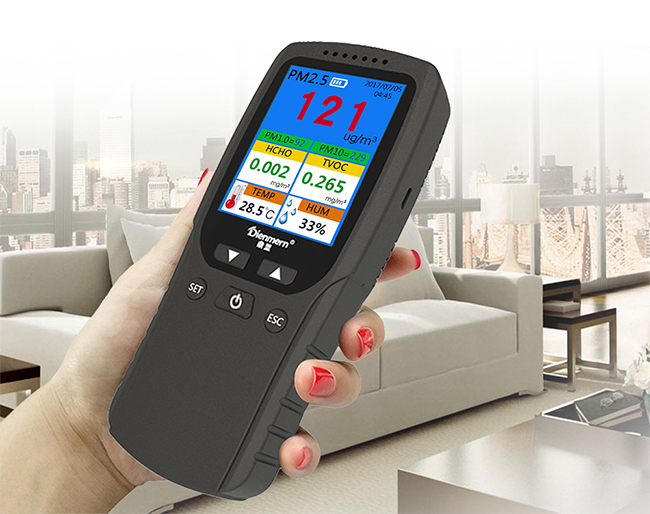 Also can measure the ambient temperature and the relative humidity;available for easy understanding about formaldehyde change in up to 10 days.Large LED Color Screen easy to read the testing result, more convenient to use for indoor air detect. 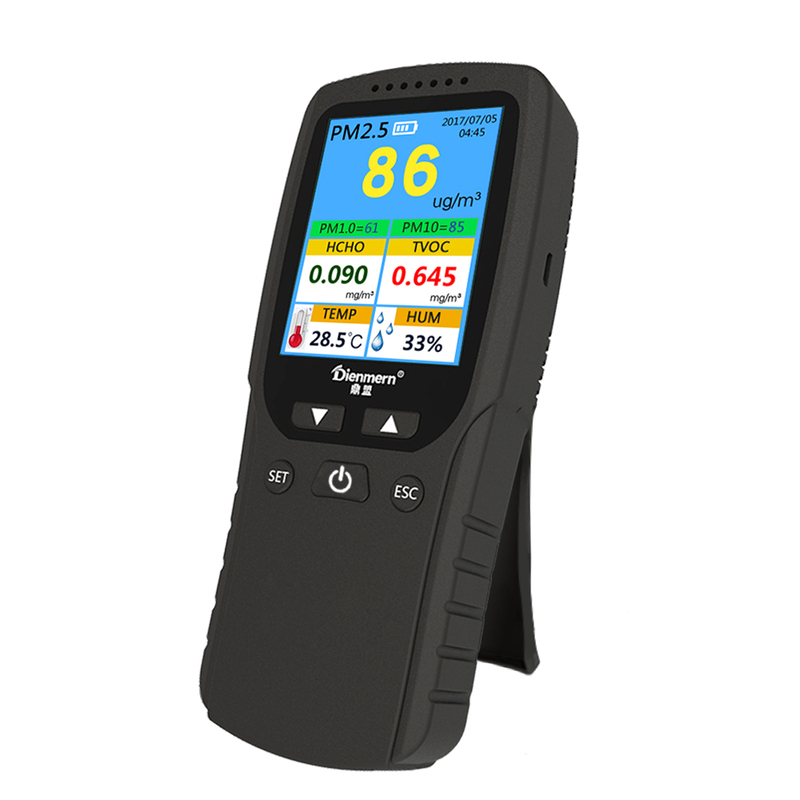 Test item: PM 2.5,PM1.0,PM10,HCHO, TVOC, TEMP, HUM,AQI. 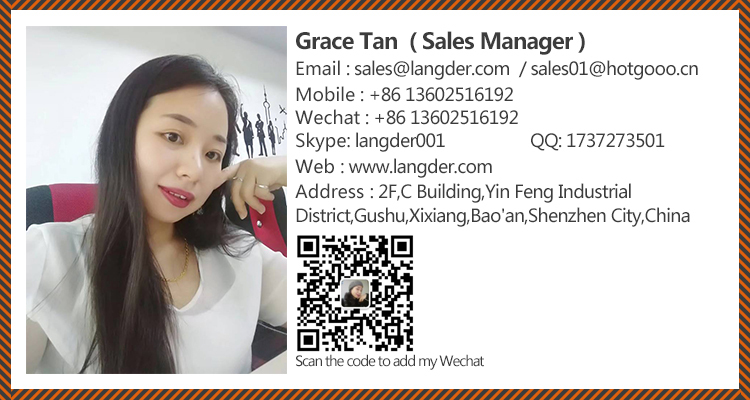 Battery Capacity: 2000mAh Lithium Battery. 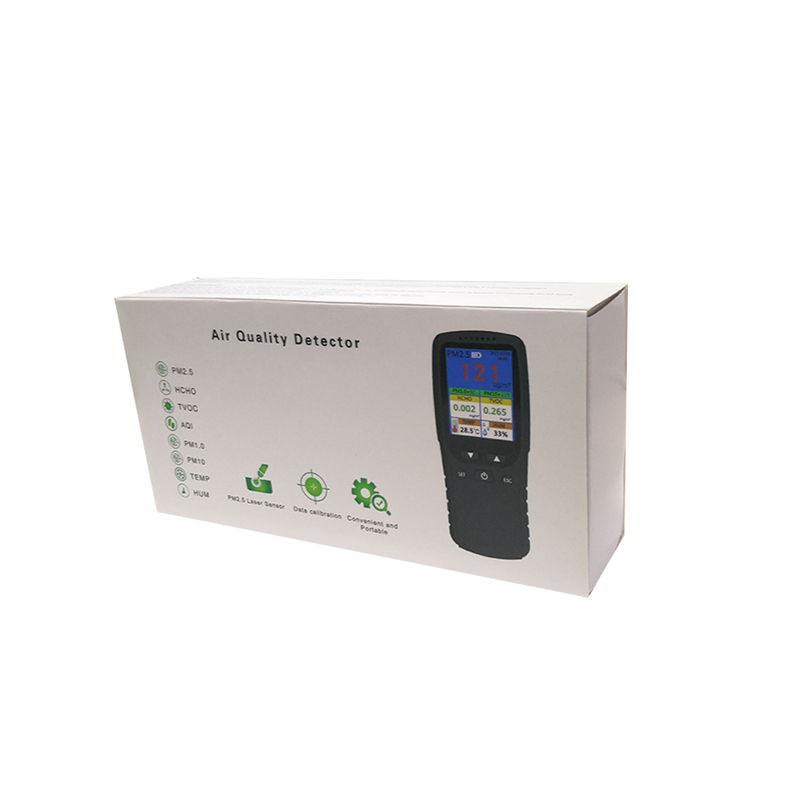 - The air quality detector must be placed on the indoor static and cool ventilated place more than an hour for first time use, or after long time haven't used. If randomly moved, the data will be inaccurate. 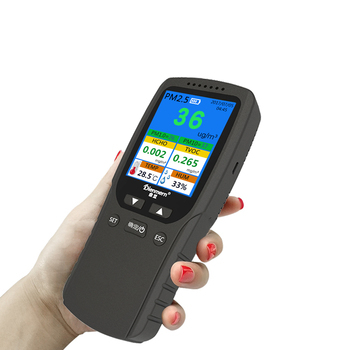 - It should do calibration before detection(after finish the initiation),please refer to user manual or send us message for Calibration. 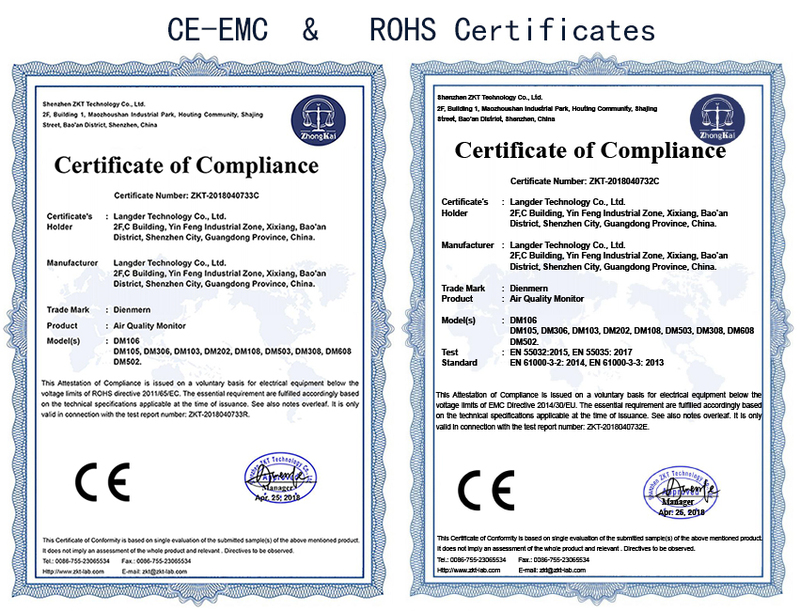 - It would be better to read the testing results after 5 minutes detection. - If the item is in low battery, the data may be inaccurate.